This is a simple method of making cordage out of a single piece of material. 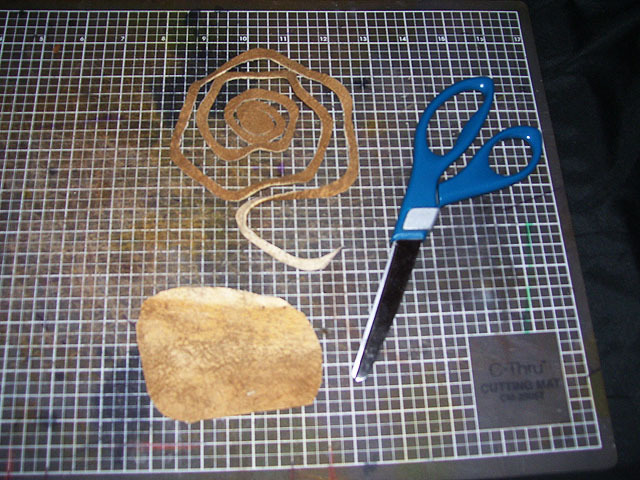 This is a simple method of making cordage out of a single piece of material such as leather, buckskin, or rawhide. 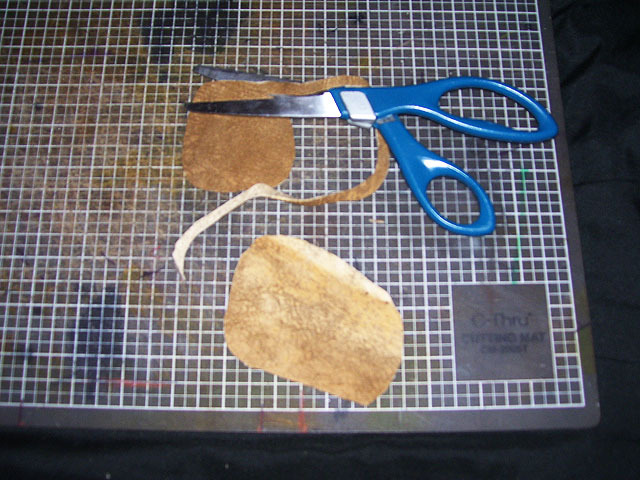 You will need scissors or very sharp cutting tool, material, and if using leather, buckskin, and especially rawhide, water. 1). Round off the corners of your material. Try and make as much of a round or elliptical shape as possible. The more round the better. Start to trim around the outer edge of material. 2). Try and maintain a consistent width as you cut in a spiral fashion. The wider the strip you make the more material you use, but the stronger the end result. 3). With brain-tan buckskin you may need to wet the material and stretch it out, this will give you additional length. Warning: if you have made your cordage too thin you may break it as you stretch it out. Allow the cordage to dry, use it right away; it will stiffen as it dries. If you want softer buckskin cordage once dry work it in your hands to unstiffen the fibers. If you are using rawhide you will want to use it while it is wet and noodle-like, because it shrinks and hardens as it dries. 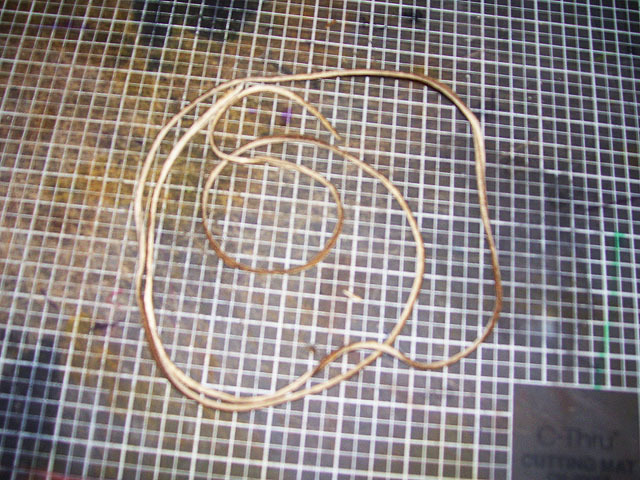 Note: In this example a 4”x3” piece of buckskin cut in a strip about 1/4" yielded approximately 46” of length.